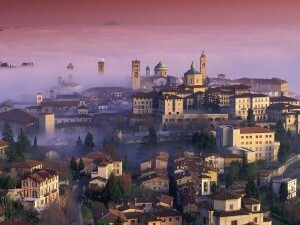 I love bringing groups to Bergamo. Firstly as it is beautiful, secondly as usually they don’t really know what to expect and finally, because the history of this city, really encapsulates the history of Italy as a whole. There were Romans here, invasions from Atilla the hun, the Venicians, Garibaldi’s Mille and finally today many supporters (misgudied?) of the Italian separatist party. Anyway, just about all I bring here end up departing, already planning a return to this easily accessible, friendly and less touristy than most, hill top town. It’s well worth getting a guide to any city if you truly want to discover the place. 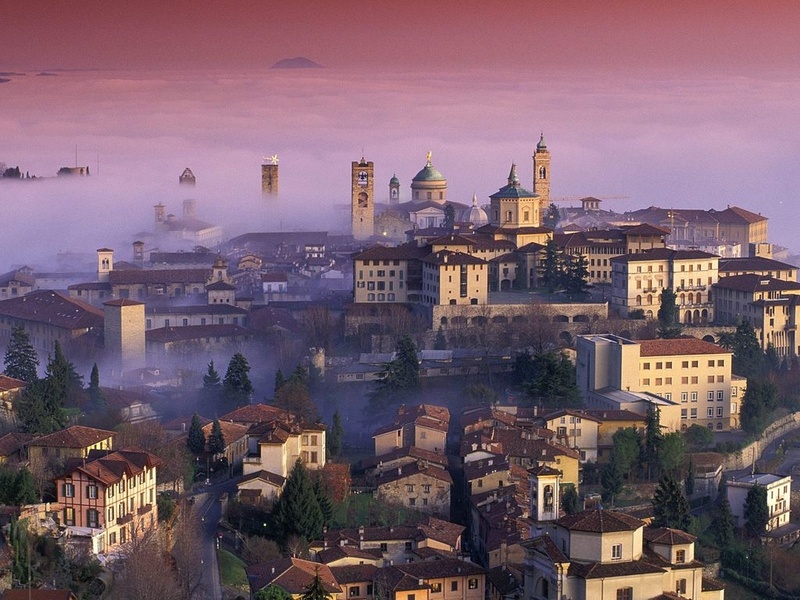 In the case of Bergamo, this is even more so, as there happens to be one truly excellent guide I know. Simona is young, enthusiastic and extremely knowledgeable. She has a real passion for her city and a visit with her, will bring history to life. Simona works as part of an Association of Bergamo Guides and can not be booked directly. However, the association can be contacted through 2nd Cup Of Tea – just drop me an email. Instead of this, turn around 180 degrees and go out to enjoy one of the best views of Bergamo for drinks or lunch – all at reasonable prices too. 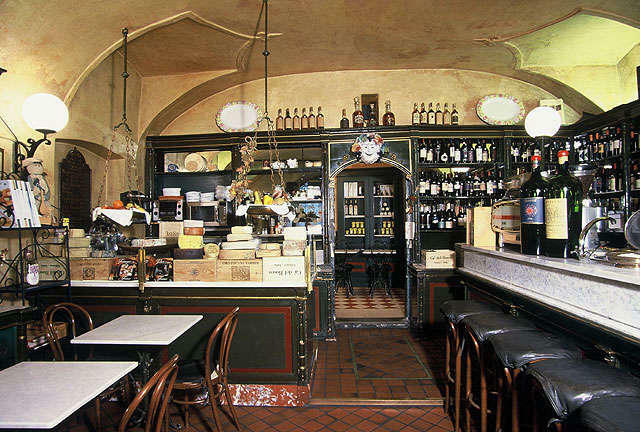 One of the many advantages of having a great friend in Bergamo, who also happens to be a local Bergamo guide, is that each time I visit I am showed a great new place to eat. 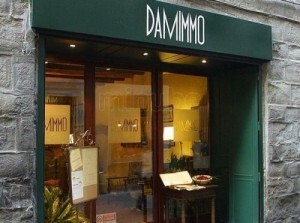 On my most recent visit (September 2014) it was the turn of this great restaurant- Da Mimmo. It’s easy to find on the main street in the upper town; has inside as well as shaded outside seating. The dishes are Italian, though of course some Bergamo specialities too. 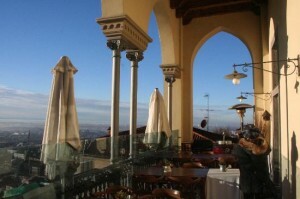 The coperto at €3.50 each IS high, but the prices are reasonable and the quality to die for. The lady next to me was having THE most delicious looking (and smelling) pasta al ragu and I longed for my meat eating days. Maybe booking is a good idea. Closed Tuesdays. See their website here; DaMimmo. Right on the main street of Bergamo Alta, so easy enough to find. So far all I have done here, is seek out the lovely, old worlde place for a glass or two in the afternoon as my groups explore the city.